Paradise – what a great name for a place, and what a great place, if you love natural beauty in a landscape which draws you deeper. 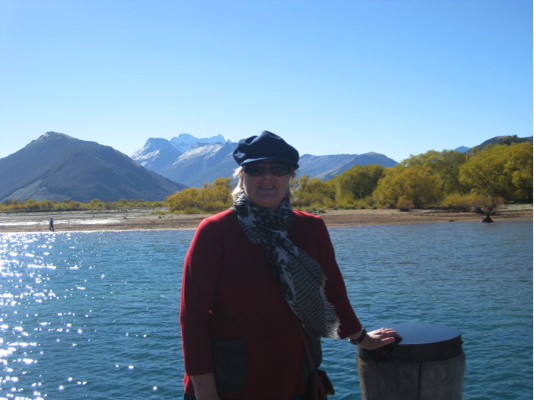 You can drive to Paradise in a couple of hours from Queenstown, cruising along a smooth road beside Lake Wakatipu. 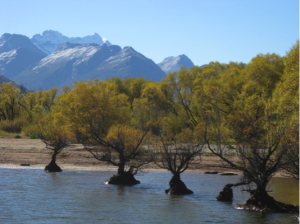 You can stop at all the scenic spots for shots of the Remarkables looming over the expansive water, before arriving at the perfect mountain village of Glenorchy. Most of those roadside stops are also freedom camping spots, thanks to an enlightened local council, so you can dream about returning in a campervan and taking even longer to reach Paradise – well I can, anyway! In Glenorchy, you can take in a horse trek, hire bikes, lurch around in a jet boat, go fishing, rent a holiday house, or start one of the famous walks up the Routeburne, Rees/Dart or Greenstone/Caples Valleys. Or you can take the slow (and cheap) travel alternative, as I did. 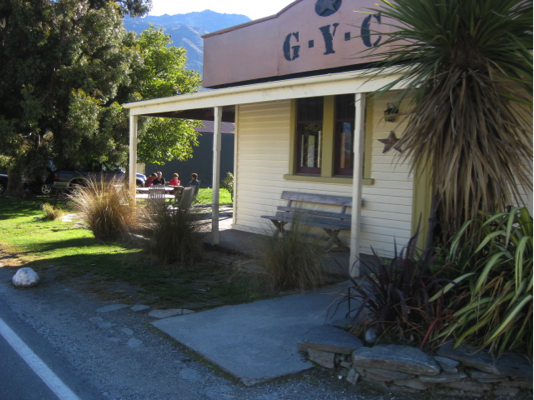 I parked my car at the old Glenorchy shed by the lake. Here you find out about the European trading and early tourism, from the mid 1800s. Much earlier, since the 1200s, Maori have traded the local rare greenstone. Over a picnic lunch in hot sun and the legendary autumn colours, I watched a solitary fisherman flicking and reeling his line. A signpost led me along board walks to the lagoon, where snowy Mt Aspiring kept appearing at every view point. An easy level walk, perfect for pushchairs. Back past the golf course to a glimpse of the tiny community church- erected by an early farming family and clearly well used. The best coffee for a week at GYC, a café in a pretty old villa packed with sweaty trampers, day trippers and families. Twenty kilometres of largely unsealed road will get you to that rare place – a touristy spot with no cafes. But there is Diamond Lake, and plenty of mountains. On the map you can see little gold rings, denoting places where Lord of the Rings was filmed, like Lothlorien and Parth Galen. I would like to stay at one of the cottage at the Paradise Trust property, to truly soak up the space, and wander through the remote high country serenity.